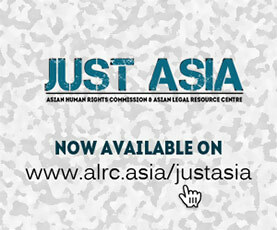 The Asian Human Rights Commission (AHRC) has obtained information that Yosias Syet was found dead in his house on 17 October 2008. The autopsy confirmed that he had been murdered and it is alleged that the murder was designed to threaten the Head of the Papuan Customary Council, Fokorus Yaboisembut, since Yosias Syet was in charge of his security. Ultimately Yosias Syet was found to be dead. Witnesses reported that blood had been seeping out of his mouth and nose, and there were distinct blue bruises on the right flank of the upper part of his body. Further, a wound at the joints of the victim’s right hand that seemed to have been inflicted by a sharp object was detailed by the witnesses. The victim had swollen lips and his stomach was also swollen. The victim’s family members moreover told of a scar around his neck, suggesting that he had been strangled with a rope. The scene of the murder was left very neat; no indications of violence or fighting, such as blood stains, were found inside the room. It was only at the door of the room that the bloody marks of a hand were found. A police investigation has taken place, however concerns have been voiced by witnesses as well as by local NGO’s regarding the quality and thoroughness of the investigation at the place where the body of the victim was found. There is reason to believe that this case will neither receive the full attention of the police investigators, nor is it likely that a processing of the crime would be free of any unlawful interference. Three days before the murder of Yosias Syet, on October 14, he was distributing leaflets appealing for a demonstration organized by the National Committee supporting the International Parliament for Papua in the villages of Dosay, Waibron and Maribu. The International Parliament for Papua was set for holding a meeting in London on 15 October 2008 and the National Committee, headed by Buchtar Tabuni, supports the organization from within Papua. At 9pm on the following day, Yosias Syet headed to discuss further preparations for the demonstration on October 16 at the home of Daniel Done. Subsequently, Yosias Syet proceeded to the house of Petrus Samonsabra to further plan the demonstration. Finally heading home, at approximately 12:30am, Yosias Syet met Jhon Ofide on the main road in front of the Protestant elementary school SD YPK. They spoke for a little while, after which Yosias Syet went alone to his relatively isolated house in the forest. 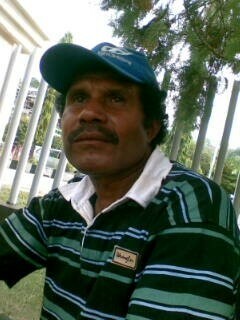 I am shocked to hear of the killing of Yosias Syet in the village of Waibron, Jayapura Regency, Papua. According to the information I have received, Yosias Syet was murdered on the morning of the 17th of October. The manner of the killing was very professional, with few signs of violence in the room where Yosias Syet was found dead, seemingly sleeping in his bed. Taking into account the politically turbulent situation in Papua, and the political commitment of Yosias Syet, it is plausible that this was a political assassination. As such it should be thoroughly, independently and transparently investigated and prosecuted, in order to set a positive example and to increase the trust in the police and the judiciary system amongst Papuans. The police investigation conducted so far has reportedly been flawed, and it is plausible that it will not lead to any prosecution, should this case not receive any additional pressure. Following the successful and lawful investigation that I urge for, the perpetrator(s) responsible for this murder should be prosecuted, and the severity of the crime committed should be reflected in the harshness of the punishment. Lifetime imprisonment is an appropriate punishment for someone who is found guilty of murder, rather than 2 years, as was the punishment meted out for the killing of independence activist Theys Hiyo Eluay in 2002. Proportionality of the punishment in relation to the severity of the crime is important in increasing the trust in the judiciary amongst the indigenous Papuans and maintaining justice in the society. I am also concerned that the aftermath of Yosias Syet’s killing would result in a further division of the Papuan society where distrust characterizes the relationship between the public and the authorities. Although the motives behind Yosias Syet’s murder are yet to be known; however, given the similarity of cases that have happened in the past, I am extremely concerned that this murder forms part of a pattern of targeted killing of political and human rights activists in Papua. I therefore urge you to use all lawful means possible to address this issue. Once again, I ask you to ensure that this case is thoroughly and effectively investigated by identifying the perpetrators and holding them to account. Inaction in the face of this extrajudicial killing would be the equivalent of silent acceptance, which I sincerely hope is not your position in this matter. I count on you to prove your position in the near future, starting with the proper and lawful investigation of the murder of Yosias Syet. Papua is an Indonesian Province which has been the arena for widespread and systematic human rights abuses by Indonesian security forces throughout the years since Indonesia’s sovereignty of the territory in 1963. The target has mainly been indigenous Papuans, in particular under the allegation of affiliation with independence movements. Leaders of pro-independence, or Papuan empowerment movements, are frequently targeted by Indonesian security forces, as eligible victims for threats, torture and killings. 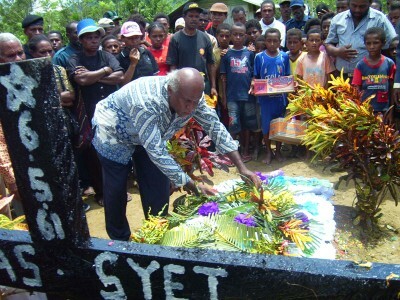 One of the most notorious killings was that of the Papuan Presidium Council’s (PDP) leader Theys Hiyo Eluay in 2001. Seven Indonesian army (TNI) soldiers eventually confessed the killing of the independence fighter. The court sentenced them to approximately 2 years each in prison. Since 2001, the TNI has conducted several “sweeping” operations in areas of suspected OPM activity, leaving hundreds of people displaced and many injured. Killings of Papuan activists and human rights defenders keep occurring in a systematic manner. Please write letters to the concerned authorities requesting them to ensure that this case is thoroughly investigated. The AHRC has also written letters to the Special Rapporteurs on Extra-judicial, Summary, or Arbitrary Executions and human rights defenders calling for intervention in this case.